Sheep Meadow Press, 9781878818737, 281pp. Hans Magnus Enzensberger is Germany's most important and influential living poet, a lightning rod in a stormy political and cultural landscape. 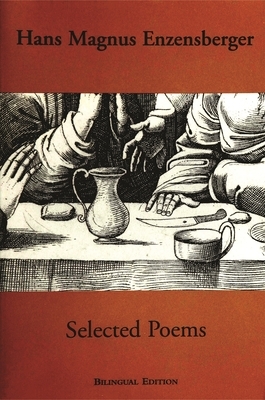 The Sheep Meadow Press is proud to publish Enzensberger's Selected Poems, drawn from six volumes of his work. Sheep Meadow has also published his Kiosk (translated by the author and Michael Hamburger) and Lighter Than Air: Moral Poems, (translated by Reinhold Grimm). Come of age after the Third Reich, Enzensberger builds his poetry upon titanic German wreckage and tradition. Always historical and provocative, his humanity dares to sport a sublime malice toward all and charity for few. His revelations have something in common with certain post-Renaissance painters, whose Madonnas are both spiritual and lascivious. Lawrence Joseph, in his introduction to Kiosk, writes, Enzensberger, more than any poet of his generation anywhere in the world, comes before the public with his own precepts, codes and taboos . . . Whose work has delved into and captured the thought of our time to the extent that Enzensberger's has? Hans Enzensberger is a German translator, editor, author, and poet. In addition to novels, he has written more than five volumes of poetry, including collections for children. In 2009, he received a Griffin Poetry Prize Lifetime Recognition Award.